3 reasons to see a Chiropractor during pregnancy. 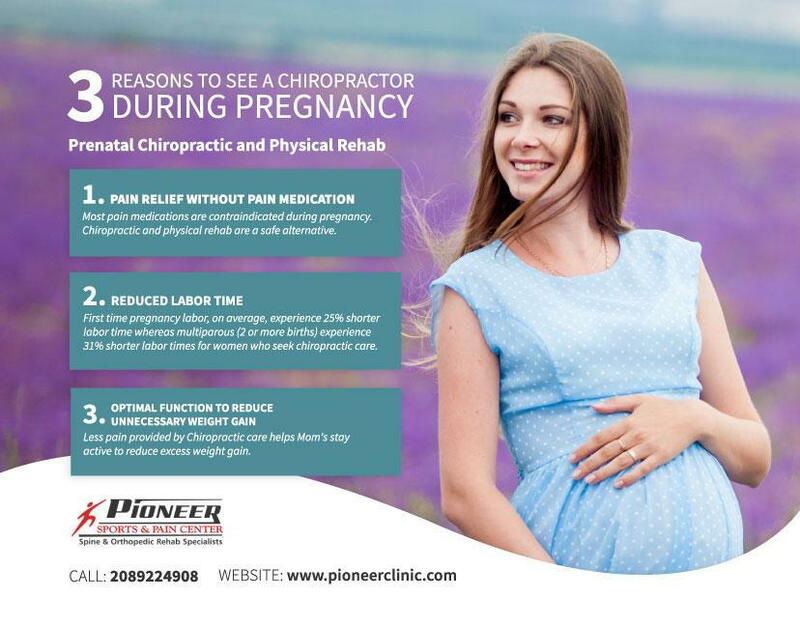 I would like to present to you 3 reasons to see a Chiropractor during pregnancy . Most pain medications are contraindicated during pregnancy. Chiropractic and rehab are a safe alternative. First time pregnancy labor for women who seek chiropractic care, on average, experience 25% shorter labor time whereas multiparous (2 or more births) experience 31% shorter labor times (A). Less pain provided by Chiropractic care helps Mom's stay active to reduce excess weight gain. In our office we not only do we adjust our pregnant patients but we also provide soft tissue manipulation, prenatal massages, exercise therapy and SI joint bracing. Please consider this safe conservative approach to optimize your pregnancy experience and to improve the health of you and your baby. See our Pregnancy conditions page for references and further information and research data. Posted by Dr. Dustin Elliott, DC. Borggren CL. Pregnancy and chiropractic: a narrative review of the literature. J Chiropr Med. 2007;6(2):70-4.